Click on the “Family Stories” and “Resources” tabs above for more information. Today my son Brennan is just like many other three year old boys – he loves playing outside, watching his favorite show, “Daniel Tiger,” and occasionally being something of a menace! 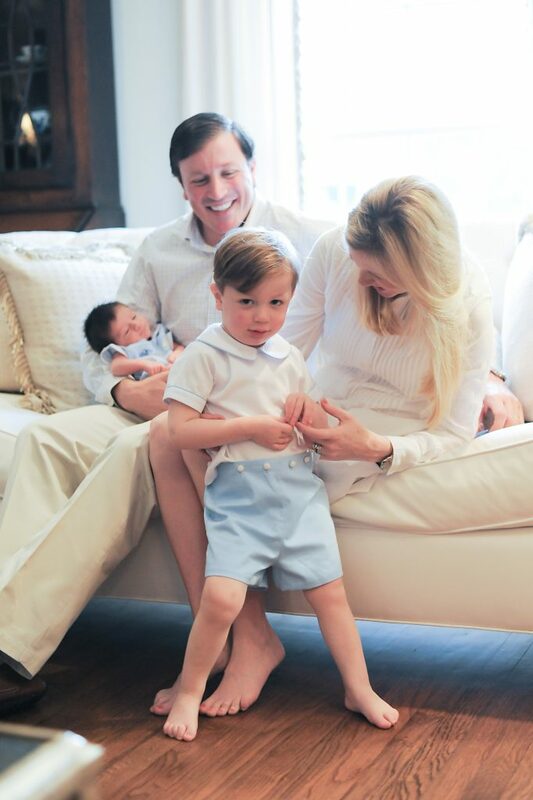 But not that long ago, his dad Ryan and I watched helplessly as Brennan struggled to meet developmental milestones. Despite the doctors’ reassurance that “every child develops at their own pace,” my instinct told me something was wrong. Thankfully, we listened to our intuition. Brennan was born five weeks early with underdeveloped lungs and spent the first three days of life in Neonatal Intensive Care Unit. At 15 months, when he still hadn’t taken his first steps, we took him to a physical therapist. We were relieved when he started walking in time for his 18-month check-up, but soon had a new cause for concern. Brennan’s arm started to hang awkwardly at his side when he walked, like a bird with a broken wing. We were done waiting and hoping for the best – something wasn’t right and we were determined to find out what. With our pediatrician’s guidance we saw a neurologist who knew within the first two minutes that something was very wrong. Our son had a muscle disorder. “We need to do a lumbar puncture,” the neurologist said. 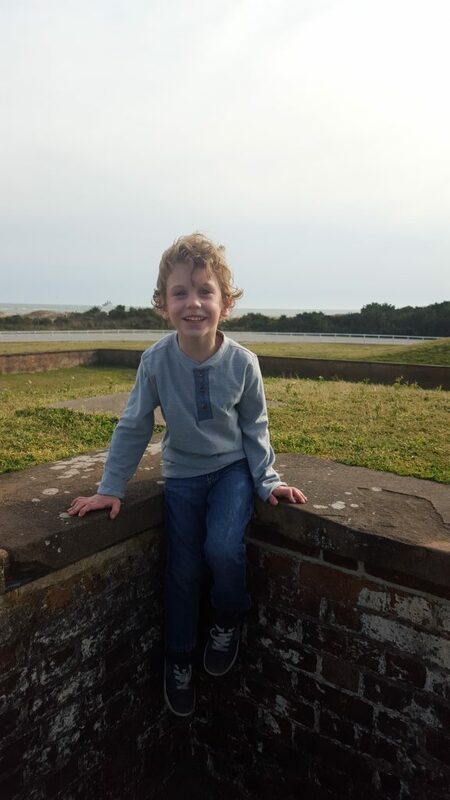 My heart sank – essentially, doctors didn’t know what exactly what Brennan had. To find out, they would place a needle into my son’s spinal canal to extract some of the fluid that surrounds the brain and spinal cord. To this day I recall how scared and unnerved we were as the doctor spoke. Thankfully, things came into clearer focus after that day. The lumbar puncture confirmed Brennan had low glucose levels, prompting a genetic test that came back positive for Glut1 Deficiency Syndrome. The neurologist explained that Brennan had an extremely rare condition that prevents an adequate amount of glucose from getting to the brain, often causing developmental delays, movement disorders and seizures. Armed with this diagnosis, we quickly sought expert opinions to land on a potential treatment course. Today I am glad to say his symptoms are under control and he is enjoying his new-found freedom. I never, ever lose sight of how lucky we were to reach a diagnosis so quickly. Most families of people with rare diseases are not so fortunate, and often endure about six years of uncertainty and strain. The best advice Ryan and I can give to other parents is to be your child’s advocate. Talk to your doctor if something doesn’t seem right, and don’t shy away from difficult questions. Nobody knows your child better than you. 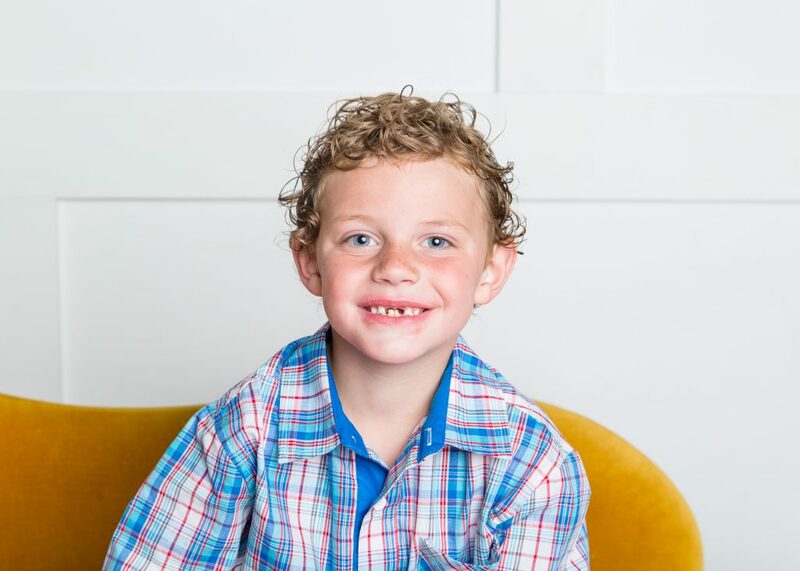 Meet Oliver and his family to learn more about what it’s like to live with Glut1 DS. We welcomed Briggs into our family in March of 2008. Briggs was diagnosed with a rare genetic disorder Glut1 DS in June of 2012. He had one older sister and 2 older brothers that adored him!! He was an easy, happy, fun loving baby!! He had the ability to make everyone smile and put them at ease. He was the baby of the family and we carried him, we talked for him, we didn’t push him to grow up. Briggs didn’t hit a few of his developmental milestones and we started to get concerned when he was 14 months old. We started therapies, and saw some improvement, but not much. Briggs started to have noticeable seizures at about 22 months, although I am certain he was having them and we didn’t even notice it. The next two years were very difficult for our family and especially Briggs. We did numerous genetic tests, EEG’s, anti-seizure medications, saw numerous doctors, blood tests among others, with no diagnosis or explanation of why the seizures, why the delay. At one point, one of Briggs’ doctors asked us to keep a seizure journal with the end result being anywhere between forty to hundreds of seizures in ONE day. Briggs was having over 4 different types of seizures and they would rob him of his personality, among other physical and mental capabilities. He would sleep for over 12 hours straight, wake up eat and go back to sleep. We cherished every day, every good and bad moment because they would change so drastically. We knew that tomorrow’s challenges could be easier and some would be harder, so we enjoyed each day as they came. This time was very difficult and very happy at the same time. Briggs has always, even on the rough days, had the ability to make everyone around him happy. He has an amazing talent to draw out the laughter and smiles in others. In June of 2012 we started Briggs on the Ketogenic Diet as a treatment therapy, while we waited for test results for Glut1 DS. 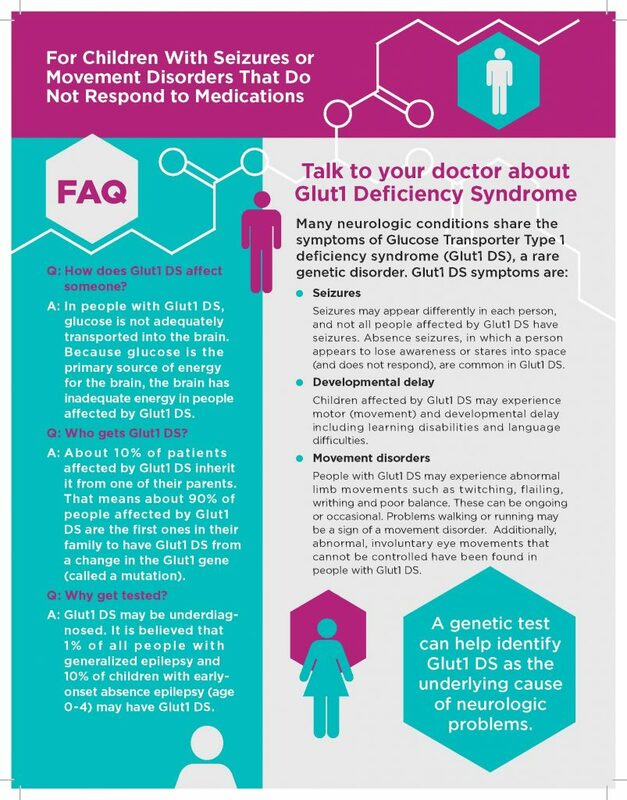 Glut1 DS is a genetic disorder in which the GLUCOSE (or sugar) in the spinal fluid (that feeds the brain) and glucose levels in the blood, do NOT match. Meaning the transporter gene that carries the glucose from the blood to the spinal fluid is depleted/missing and therefore starving the brain of nutrients. While we waited for test result we started the diet, within 24 hours after starting the diet we were seizure FREE. Over the next few weeks our little boy came back to us. It was like watching a flower bloom. His balance, his speech, the brightness and sparkle in his eyes, his laughter had all returned and started to improve. It was amazing to watch Briggs really truly be the boy that he was meant to be. He was “present and alert”, and radiated more love and happiness then he did before. Just two months later, in early August of 2012 the test result came back with a positive for the GLUT1 DS genetic disorder. Briggs loves to be outside, play baseball, ride ATV’s, jump on the tramp, swim, school, and race. He has been seizure free for over 3 years. The development, speech, balance and fine/gross motor that has improved over these last three years is remarkable. We recently had a family vacation and in one day hiked and walked around the 5 mile mark. He never complained and walked the whole thing by himself. He has come so far and reached so many goals we never thought possible. Nathan was born healthy and full term, testing normal with his APGAR scores and sent home with no sign of what lay ahead for him. Looking back there were signs we unknowingly missed, such as his clenched fists, and his constant need to eat. Nathan’s hunger could not be satisfied as an infant and he constantly nursed. Knowing what we know now, it’s easy to see that his constant feeding was the only thing alleviating his symptoms that were unseen to us at that time. Our first clear signs were his missed milestones. When the time came to sit up on his own, he was unable to do so without assistance. He would be 11 months old before he mastered this skill. The time for finger foods came and he was unable to feed himself properly and needed help almost always. He was 18 months before he was able to coordinate the movements needed to feed himself finger foods; it would be much later before he mastered utensils. We were hopeful that he would walk but 16 months came and went and no sign of grasping it was apparent. Even after all this and voicing concerns about his development with our pediatrician, we were told he was a “late-bloomer” and would eventually catch up. It wasn’t until the seizures began that we all realized something much bigger was going on. I can’t give an exact time of when they started, our neurologist is certain he had them from the start. However, the obvious seizure activity did not show up until 16 months old. At first, it looked like he was falling asleep and nodding off and then startling himself and jerking back up. Within 2 weeks of those seizures appearing we had an EEG that came back positive. Our first appointment with the neurologist was Nov 1, 2011, Nathan was 17 months old at this time. The neurologist could not confirm anything, but pinpointed that clearly something genetic was going on with Nathan. Multiple tests were ordered, MRI, genetic consultation, another EEG and full blood gene panel. EEG came back irregular again, but everything else came back normal. The Geneticist threw out some potential diagnoses, such as Angelman Syndrome and certain forms of cerebral palsy. Nothing came back positive. In just a few months his seizure medication had been raised 6 times in an effort to control the increasing activity. I once counted 122 in a day, and each time they happened he seemed to be lost more and more. A 48-hour EEG was ordered in Feb 2012 to see if anything new could be established about his seizure activity. After 24 hours the doctor came back and said that nothing new could be gleaned and he was sending us home. It was at a Neuro appointment in early May 2012 that the doctor asked me the question I didn’t want to answer. He asked me how badly I needed to know what was going on with my son, because even if we did find an answer it would be unlikely to change the course of treatment for him. Nathan was not doing well at this time. Seizure numbered continuously in the hundreds every day. He only spoke a few words, he was walking but falling after a few steps, couldn’t coordinate his hands to function properly for everyday tasks, and he seemed constantly out of it. I understood where our Neuro was coming from, years of experience had shown him that not much else could be done with retractable seizure disorders. However, I knew I could not give up just yet. The feeling that something could be done differently to help him was so strong, and that was my drive to keep searching. I spent hours researching different combinations of his symptoms, until finally one day my search landed on Glut 1 Deficiency Syndrome. After reading personal stories from families, I could not help but be optimistic that this was it! I emailed the doctor the next day and asked him to do the spinal tap necessary to get a prelim diagnosis of Glut 1. The test was done in early June, and the results came back positive for Glut 1. It was such a relief to have an answer, to known that something else could be done to help him thrive! Now, if you met him you may not know that this boy was unable to do so many things just a few short years ago. He is adventurous, goofy and happy. We still have some bad days, but his future is so bright thanks to the efforts done by his doctors and his family. What is Glut1 DS and what are the symptoms? A variety of seizure types may occur in Glut1 DS, including myoclonic, atonic, focal and generalized tonic-clonic. Absence seizures, in which a person appears to lose awareness or stares into space and is generally unresponsive, are also common in Glut1 DS. However, not all people affected by Glut1 DS have seizures. Children affected by Glut1 DS may experience motor (movement) and developmental delay including learning disabilities and language difficulties. People with Glut1 DS may experience abnormal limb movements such as twitching, flailing, writhing, and poor balance. These can be ongoing or occasional. Problems walking or running may be a sign of a movement disorder. Additionally, abnormal, involuntary eye movements that cannot be controlled have been observed in people with Glut1 DS. The symptoms of Glut1 DS are common with other disorders making it difficult to accurately diagnose. Glut1 DS may be underdiagnosed. It is believed that 1% of all people with generalized epilepsy and 10% of children with early-onset absence epilepsy (age 0-4) may have Glut1 DS. How is Glut1 DS diagnosed? Glut1 DS can be diagnosed through genetic testing for mutations in the SLC2A1 gene. 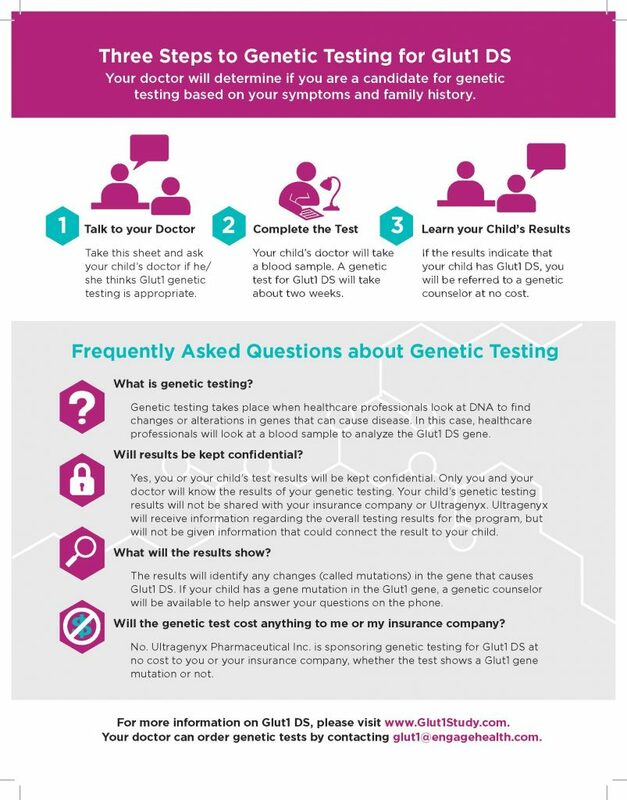 No cost genetic testing programs are available for patients who are suspected of having Glut1 DS. Another common way to diagnose Glut1 DS is through a spinal tap which compares the levels of glucose in the spinal fluid to the levels of glucose in the blood. How is Glut1 DS treated? There are currently no approved treatments for Glut1 DS. The most common way the disorder is managed is through a special diet called the ketogenic diet. It is a special high-fat, low-carbohydrate diet that helps to treat symptoms of Glut1 DS and it is also used to control seizures in some people with epilepsy whose seizures have not responded to antiepileptic drugs (AEDs). It is prescribed by a physician and carefully monitored by a dietitian. In people with Glut1 DS, AEDs may also be used to help control seizures, but they are less effective in Glut1 DS patients. Ongoing clinical trials are exploring new treatment options for Glut1 DS. To learn more, visit www.clinicaltrials.gov. Genetics Home Reference is a service of the National Library of Medicine (NLM), which is part of the National Institutes of Health, an agency of the U.S. Department of Health and Human Services. For a summary of this resource, see the Genetics Home Reference fact sheet. 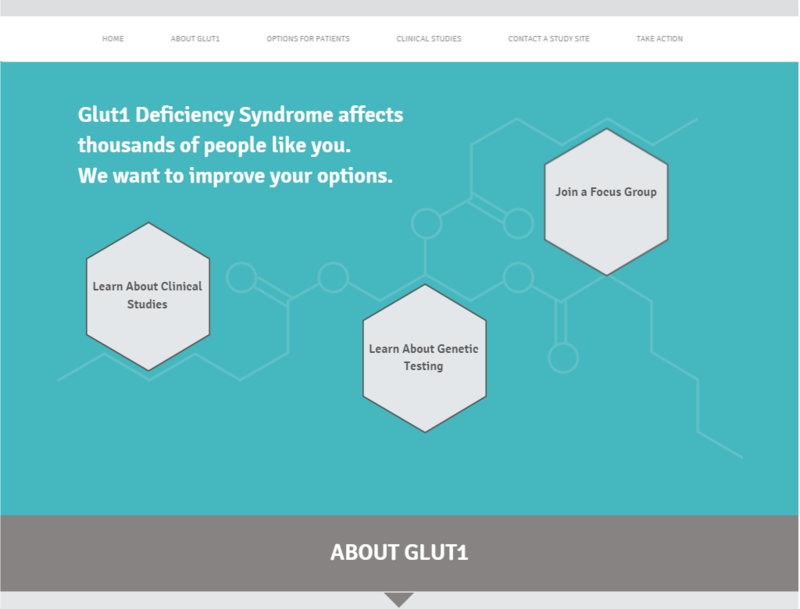 For Glut1 information and resource, visit the GLUT1 deficiency syndrome page. 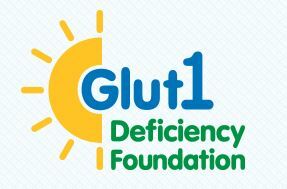 The Glut1 Deficiency Foundation is a volunteer, non-profit family organization dedicated to educating others, increasing awareness of and advocacy for Glut1 Deficiency, creating a forum for sharing support and resources in the G1D community, and supporting and funding researchers as they work for better treatments and an ultimate cure. The Epilepsy Foundation, a national non-profit with nearly 50 local organizations throughout the United States, has led the fight against seizures since 1968. The Foundation is an unwavering ally for individuals and families impacted by epilepsy and seizures. The Foundation works to prevent, control, and cure epilepsy through community services; public education; federal and local advocacy; and supporting research into new treatments and therapies. The Foundation works to ensure that people with seizures have the opportunity to live their lives to their fullest potential. 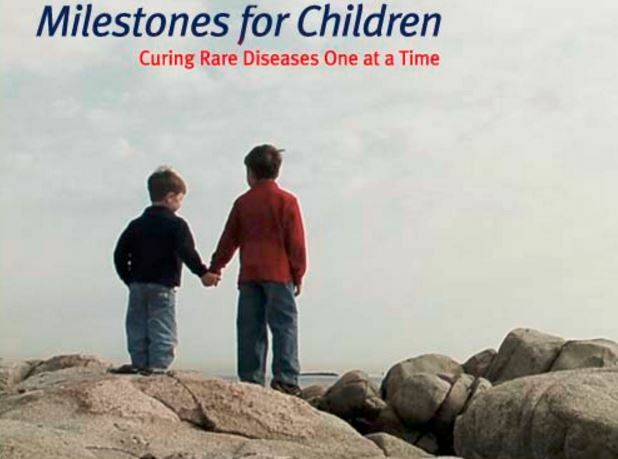 At Milestones for Children, our mission is to raise funds to support finding cures for rare pediatric diseases — one disease at a time. The first disease we have chosen to support is Glucose Transporter Deficiency Syndrome (Glut1 DS), a serious pediatric neurological condition. Our goal is to fund necessary research to help diagnose and find a cure for Glut1 DS. Twenty years ago, a little boy named Charlie Abrahams developed difficult-to-control epilepsy. As a last resort, his parents turned to a ketogenic diet for help. The diet worked and Charlie became seizure-free. The Charlie Foundation for Ketogenic Therapies was founded in 1994 to provide information about diet therapies for people with epilepsy, other neurological disorders and tumorous cancers. Global Genes™ is one of the leading rare disease patient advocacy organizations in the world whose mission is to Eliminate the Challenges of Rare Disease. We build awareness, educate the global community, and provide critical connections and resources that equip advocates to become activists for their disease. The purpose of the study is to explore the patient and caregiver experience of movement disorders in Glut1 DS of adults/children 6 years and older. The research study is being conducted by a company called Adelphi Values on behalf of Ultragenyx. As part of the study, Adelphi Values would like to invite you to take part in a 90 minute interview about your/your child’s experience with Glut1 DS. This interview will be conducted via telephone or Skype at a time convenient for you and you will receive $150 for taking part in the interview. In addition to participating in the interview, you are also invited to participate in a smartphone app task which aims to collect information about living with Glut1 DS to help further our understanding of the symptoms experienced. The app task may be completed either before or after your interview and you will receive an additional $150 for taking part in the app task. All information provided by you during the study will be treated confidentially and will be kept anonymous.